09/13/Of all the neighborhoods in Miami, concerning condominiums, one of the most popular areas is the Mid Miami Beach neighborhood. 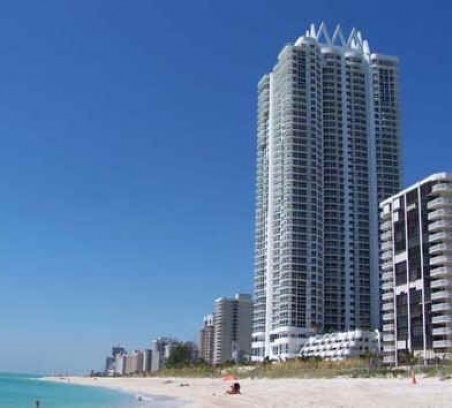 Collins runs from North to South and the condominiums lining Collins have oceanfront views and it is more quiet than South Beach. Condominiums on this stretch of Collins are part of what is known as Millionaires Row. It is aptly named because it has historically had incredible beaches, quiet allure, and lots of places to dock boats and canals. It is conveniently located to 195 via 41st and is 15 minutes to the Miami International Airport. Bal Harbour is to the north with incredible luxury retailers and gourmet dining. Currently, the hottest buildings with availability are Akoya, Fountainbleu, Blue and Green Diamond, and Bath Club. Residences in these buildings have penthouses and come furnished or unfurnished. Lots of seasonal residents will appreciate the convenience of condo living. The neighborhood could not be more safe and residents will enjoy the incredible vistas of the winding canals and oceans. La Gorce Country Club is nearby and year round residents will delight in the award winning golf facility and tennis clubs, as well as casual and formal dining. For more information on the condos and homes in the Mid Miami Beach neighborhood, contact us today!